Medical Ministry International Ecuador has been one of the most popular destinations for our Medical Teams. 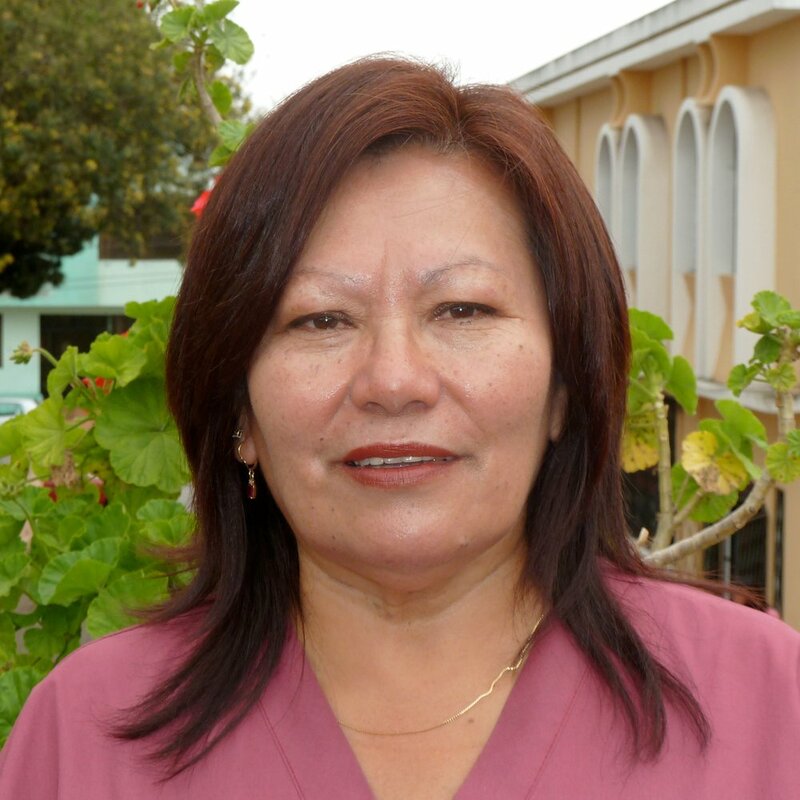 Led by longtime MMI Ecuador Project Director, Dr. Susana Logacho, who followed Sara Risser and Mesa Taveras, teams have worked with Ecuadorians in the Costal and Mountainous Regions. We focus on Primary Care, Dental Care, Vision Care, and Surgical Care. We have even done Knee Replacements. In Milagros, a Health Center was opened in 2001 and continues to provide vision care services and surgery as well as other medical services. Abner Hernandez is the gifted Architect who designed and oversaw the construction of the Health Center and his wife Jone Hernandez has been involved leading projects in the coastal region. On March 2017, in Tena - Misahually, the team set up a mobile clinic in local schools and churches in partnership with the municipality, with a triage area, consultations rooms, a fluoride treatment area, a pharmacy room and a health education area. We worked in different community each day (average 40-60 minutes away by bus on bad roads) usually from 8 am to 4 pm. They are poor agricultural based communities with little to no access to health care. Although remote, nearly all the villages we visited have electricity. The patients were very grateful for consultations and treatment. Ambato is a city called the "land of fruits and flowers" because you can find a huge variety of fruits and flowers around the year. This city is also famous for the handicrafts and leather factories. The Tungurahua volcano is visible from this city. Ambato is 30 min from Baños, Tungurahua. San Pedro de Pelileo produces textiles and Salasaca woolen rugs and hangings. The surrounding area of Patate has a lush agricultural area producing avocados, tree tomatoes, grapes, mandarins, and limes. * Project Description: The purpose of these projects are to provide Optometry, Dental, and General medical care to the people of the villages surrounding Ambato, including Pelileo. The teams work at local schools and churches in partnership with the municipality. Each day the team sets up a clinic with a triage area, consultation rooms, fluoride treatment area, pharmacy, and health education area. MMI Ecuador trains local leaders in different communities before the projects so that they can lead Integrated Health during the project, and can be a part of the service that is provided to their own community. Baños de Agua Santa, commonly referred to as Baños, is a city in eastern Tungurahua Province in central Ecuador. Baños is the second most populated city in Tungurahua (after Ambato, the capital) and is a major tourist center. Tungurahua just 180 km from Quito (the Capital of Ecuador). Baños is located in a valley with waterfalls and hot springs near the Tungurahua volcano with a height of 5016 meters. There is a population of 18,000 people and it is known as the gateway to the Amazon rainforest. Visits can be made to nearby forest reserves deeper into the jungle, which is full of monkeys, birds, and tropical plants. 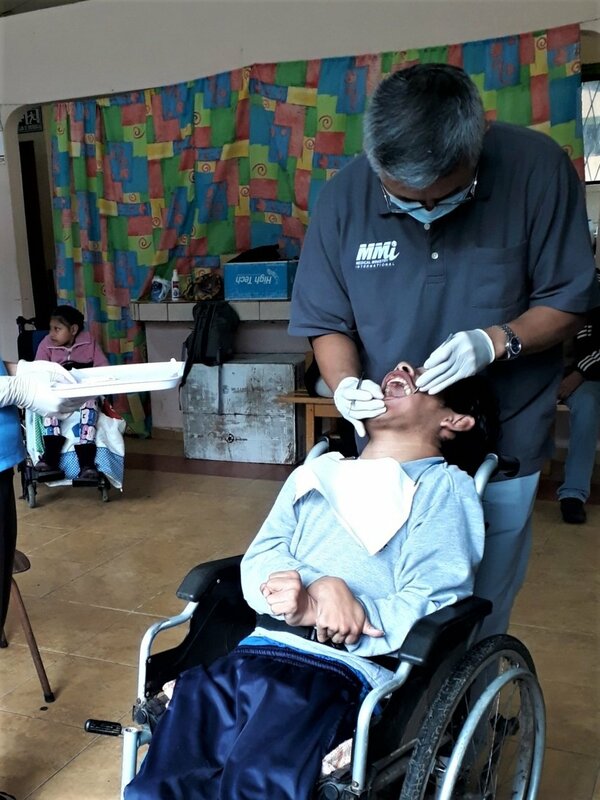 * Project Description: The purpose of these projects are to provide Optometry, Dental, and General medical care to the people of the villages surrounding Baños. The teams work at local schools and churches in partnership with the municipality. Each day the team sets up a clinic with a triage area, consultation rooms, fluoride treatment area, pharmacy, and health education area. MMI Ecuador trains local leaders in different communities before the projects so that they can lead Integrated Health during the project, and can be a part of the service that is provided to their own community. It can be windy and cool. Chone is a town in the province of Manabi in Ecuador. It is located in the grasslands and lowest marsh, moist and fertile in the Ecuadorian coast. Traditional crop planting and nourishing fruits of various coastal area; as cocoa, coffee, banana, cassava, maize, among others. The canton or town is known to be dynamic and hospitable and the labour is very oriented to fishing and agriculture. There is a population of 100,000. * Project Description: This project is intended to provide medical care, preventive health, and surgical work in rural areas of the county where access is very limited. After the collapse of the main hospital following an earthquake, surgery backlog has been increasing. The reduced number of surgeons in the area is another limiting factor. Two new ORs have been built, but they have been struggling to cover the demand for surgery. The hospital and the health district of Manabí has inquired MMI-Ecuador about working alongside long them. Surgeries will be done at the Municipal Hospital, and will include General Surgery, Hand Surgery, OB-GYN, ENT and others. This project will also provide a training opportunity for those who are serving in the medical field. The doctors and nurses will be lecturing on different topics related to the identified needs of the communities. These trainings have been very well received by the medical personnel in the area. Chone's climate is classified as tropical. The summers have a good deal of rainfall, while the winters have very little. The temperature here averages 25.7 °C. The average annual rainfall is 1058 mm. Cotacachi is small village in the Imbabura province, around 15 km north of Otavalo and 25 km south-west from Ibarra. It is a famous for its leather work. Many of the patients you will see (Ethnic groups include Mestizo, Indigenous, and Afro-Ecuadorians) do not receive regular medical and dental care. For this reason, you are likely to see all sorts of health problems. Common complaints include gastritis, arthritis pain, lower back pain, skin problems, and dehydration. Spanish is a second language for some of the patients you will meet, otherwise they will usually speak an indigenous dialect or language. Interpreters will be available on these projects. * Project Description: The teams are always busy and work at local schools and churches in partnership with the municipality. Each day teams set up clinics with a triage area, consultation rooms, fluoride treatment area, pharmacy, and health education area. Teams work in a different community each day, providing health care to those who have little or no regular access to it. Teams often travel to a different village every day by bus. Most rainfall is seen in February, March, April and October. These months make up the "rainy season." Daule, Guayas, Ecuador is a city located in central Guayas, Ecuador, on the Daule River. Daule is a very well-known for their high production of rice. Economical poverty is present in this region and some segments of the people in rural or sub-urban areas are in great need. Resources are mainly concentrated in the hands of a few wealthy families. Some communities in Daule still present very low access to medical services, or where there is, people still struggle with money to afford to by medications. In some places, essential medications are free under the government's health insurance program. * Project Description: This project, in coordination with the Municipality of Daule, is intended to provide OB-GYN care along with General Surgery, with great emphasis in preventive care. It is a part of the "Healthy Women" project, under the “Preservation of Life” Program, and provides specialized women's health care in developing countries. This vision started in Bolivia in April 2017 its being implemented in Ecuador. “Healthy Women” works primarily in rural and sub-urban areas where access is very limited. This project will also provide a training opportunity for those who are serving in the medical field. Our Doctors and Nurses will be lecturing on different topics related to the identified needs of the communities. These trainings have been very well received in the past by the medical personnel in the area. There are also learning opportunities for health care workers and the patients regarding STD/HIV/AIDS/HPV and breast cancer education. Daule has a tropical climate. In winter, there is much less rainfall than in summer. 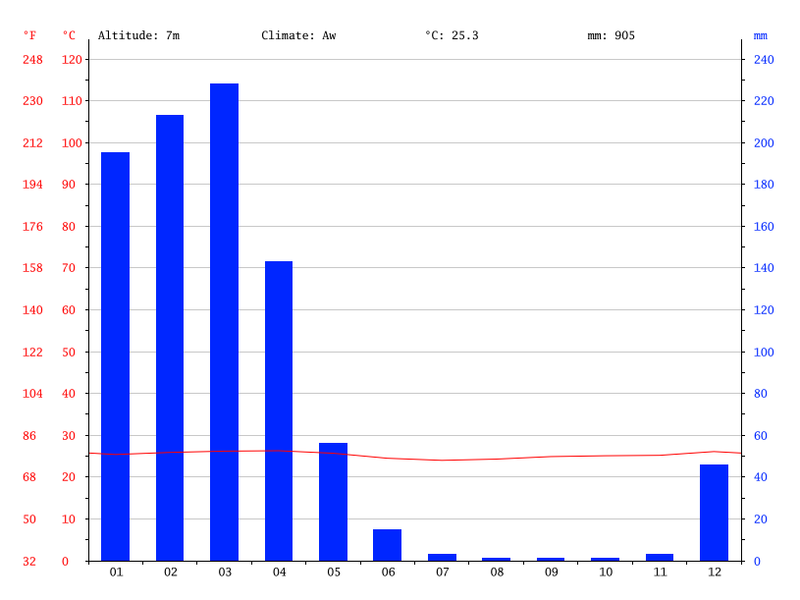 The average annual temperature is 25.3 °C in Daule. About 905 mm of precipitation falls annually. Latacunga is located around the Cotopaxi volcano with a beautiful view of the volcano, trees, and mountains. We have an amazing lake called Quilotoa. 70% of population are Indigenous (Sunbahuas and Tiguas). Spanish is a second language for some of the patients you will meet. Some may just speak an indigenous dialect or language. Interpreters will be available on this project. * Project Description: The purpose of these projects are to provide Optometry, Dental, and General medical care to the people of the villages surrounding Latacunga. MMI Ecuador trains local leaders in different communities before the projects so that they can lead Integrated Health during the project, and can be a part of the service that is provided to their own community. The weather is dry and cold. Most rainfall (rainy season) is seen in February, March, April and October. La Troncal is very well-known for the sugar cane industry and rice plantations. Poverty is present in this region and many who live rural or sub-urban areas have significant needs. Some communities in La Troncal have low access to medical services, but many people still struggle to afford medications. * Project Description: These projects are intended to provide medical/dental/eye care and preventive care in rural areas of the county where access is very limited. We will also help build capacity in this community by training those who partner with us on the field. The kind of training done will be related to the identified needs of the communities. These trainings are always very well received by the medical personnel in the area. There are dry and wet seasons, but the weather is usually warm. Most rainfall occurs in the rainy season, which is February, March, and April. La Libertad is a city located in western Santa Elena, Ecuador, by the sea. Santa Elena is a very dry area with very little economic activities. The resources are mainly concentrated in the city of Salinas and Libertad. The main productive activities are fishing and some agriculture. * Project Description: The Libertad Project is intended to provide Primary/Dental/ Surgical care to those with limited or no access to these services in the county. Basic medical and dental care are often available, but very limited due to high cost or other reasons. Goals of these projects are also to meet the needs for training and prevention in the communities of Santa Elena and continue building capacity that will bring this community to a better health care system, by training those who partner with us on the field. Libertad has dry periods in July, August, September, October and November. Milagro is very well-known for the sugar cane industry and its world-famous pineapples. These activities only benefit a small percent of the population working directly or indirectly for it, as resources are mainly concentrated in the hands of a few families. Poverty is very present and many people living in rural and sub-urban areas are in great need. Some communities in Milagros still present very low access to medical services. Where there is acccess, many people still struggle to afford the medications and procedures. In a few locations, essential medications are free under the health insurance program that the government has in place. * Project Description: These projects are intended to provide Primary/Dental/Preventive Care to those with limited access to those kind of services in the county. The Integrated Health component will include discussions about hygiene, preventing the spread of germs, Obesity, Diabetes, Oral Health, as well as HIV/STDs. We will also help build capacity in this community by training those who partner with us on the field. The kind of training done will be related to the identified needs of the communities. These trainings are always very well received by the medical personnel in the area. A lot of rain (rainy season) falls in the months: January, February, March and April. Sangolquí is located in the Chillos Valley, just south of the equator and 35 km east of Quito. Travel to the center of Quito takes about 1 hour. Sangolquí was founded by the Spanish on the site of a pre-Columbian settlement. It was named after a prominent indigenous leader and developed as a centre for agricultural and textile production. Agriculture remains an important activity in the Valley and producers sell vegetables, grain, and other local products. The city is surrounded by many poor villages without much access to healthcare. They don´t have access to safe water. * Project Description:These projects are intended to provide medical/dental/eye care and preventive care in rural areas of the county where access is very limited. We will also help build capacity in this community by training those who partner with us on the field. The kind of training done will be related to the identified needs of the communities. These trainings are always very well received by the medical personnel in the area. The Integrated Health component will include discussions about hygiene, preventing the spread of germs, dental health, and preventing dehydration. Many of the patients you will see do not receive regular medical and dental care. For this reason, you will see a variety of health problems. Common complaints include gastritis, arthritis pain, lower back pain, skin problems, and dehydration. San Cristóbal is the easternmost island in the Galápagos archipelago, as well as one of the oldest geologically. San Cristobal Island is composed of three or four fused volcanoes, all extinct. This island hosts frigatebirds, Galápagos sea lions, Galápagos tortoises, blue and red footed boobies, tropicbirds, marine iguanas, dolphins and swallow-tailed gulls. Its vegetation includes Calandrinia galapagosa, Lecocarpus darwinii, trees such as Lignum vitae, Matazarna. In the waters nearby are sharks, rays, and lobsters. The majority of inhabitants make their living in government, tourism, and fishing. * Project Description: The Galápagos Projects are intended to provide Primary, Dental, and Surgical Care to those from surrounding areas with limited or no access to those kinds of services. We will also help build capacity in this community by training those who partner with us on the field. The kind of training done will be related to the identified needs of the communities. These trainings are always very well received by the medical personnel in the area. A lot of rain occurs in the months of January, February, March and April; the rainy season. Has dry periods in July, August, September, October and November; the dry season. Santa Cruz is an island in Ecuador’s Galápagos National Park. It’s known for the Charles Darwin Foundation, the Galápagos National Park, and beautiful sandy beaches like El Garrapatero. Situated in the center of the archipelago, Santa Cruz is the second largest island after Isabela. Its capital is Puerto Ayora, the most populated urban centre in the islands. On Santa Cruz there are some small villages, whose inhabitants work in agriculture and cattle raising. This island is a large dormant volcano. It is estimated that the last eruptions occurred around a million and a half years ago. There is a gigantic lava tunnel that is over 2000 meters long on the island that many tourists visit and walk through. 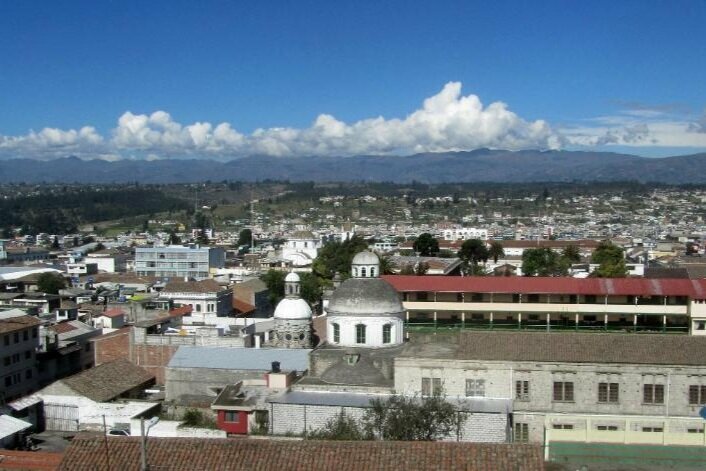 Quevedo is a large town that is very oriented towards agriculture. The resources are mainly concentrated in the city of Babahoyo. Banana, African Palm, Cocoa, and Rice are some of the main crops being produced in the area. In this town, basic medical and dental care are available, but very limited. * Project Description: These projects are intended to provide medical/dental/eye care and preventive care in rural areas of the county where access is very limited. Surgeries will be done at the local hospital. We will also help build capacity in this community by training those who partner with us on the field. The kind of training done will be related to the identified needs of the communities. These trainings are always very well received by the medical personnel in the area. Most rainfall occurs in the rainy season, which is January, February, March, and April. Tena, the capital of the Napo Province, is a city in the Amazon rainforest. Known as the “cinnamon capital" of Ecuador and founded by missionary explorers, Tena has emerged as a major commercial center of Ecuador. Where the Tena and Pano rivers meet, in the center of town lies a popular pedestrian bridge, "el puente peatonal". The rivers merge to become the Tena River, which soon joins with the Misahuallí and eventually flows into the Napo River. The Napo winds its way south into Peru, and is in effect the 9th largest tributary to the Amazon River. Tena is surrounded by forested hills and is located at the edge of the Andes, which are visible to the west. Tena is a popular launching point for jungle, kayaking, and rafting tours. Misahuallí is a bustling and somewhat remote port at the juncture of the rivers Napo and Misahuallí. The village was the original Ecuadorian jungle tourist outpost, and after dozens of years and despite the entrance of Tena and other jungle towns into the tourism market, is still a popular starting point for jungle tours and canoe trips. * Project Description: Teams usually work in a different community each day. These communities will average 25-45 minutes distance by bus on rough roads. The teams set up mobile clinics in local schools and churches in partnership with the municipality with a triage area, consultations rooms, a fluoride treatment area, a pharmacy room, and a health education area. 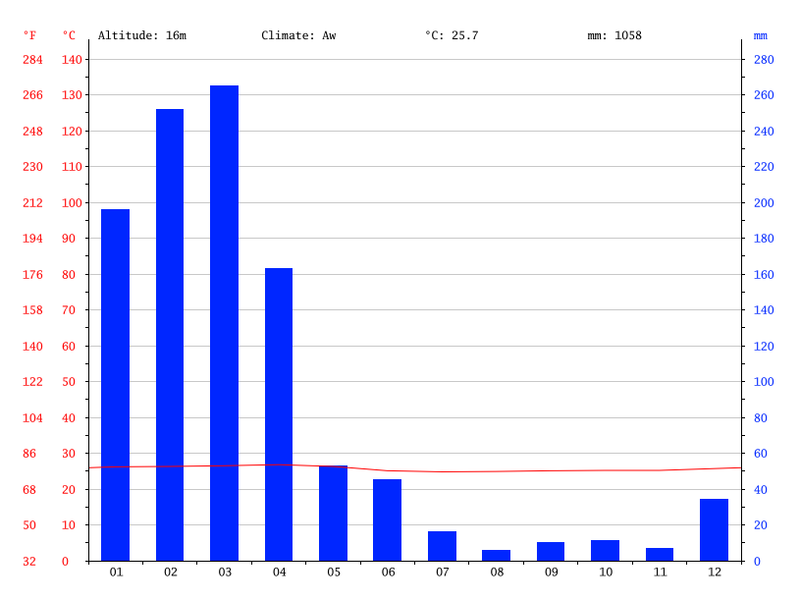 The average March temperature ranges from a high of 16oC (61oF) to a low of 13oC (55oF). It is a rain forest so we can count on rain at some point each day, and often it rains at night. The roads to the small villages are rough and they will be muddy because of the rain. It can also be cold and windy at times. There is rainfall year-round, with an annual average of 171.65 inches (4,359.91 mm). The heaviest rains come in April, May, and June. Travelers must present a passport, which must be valid for at least six months beyond the date of expected departure. Travel Visa is not required. Tourists must also provide evidence of return or onward travel. There is a $45.00 USD departure tax, the payment of which may or may not be included in your ticket. If not, payment can be made at the ticket counter. The money in Ecuador is the United States dollar (USD). Small bills ($5’s,10´s and 20´s) are recommended. All major credit cards are accepted - Visa and MasterCard the most widely accepted (make sure to call your credit card company and let them know that you’ll be traveling internationally). Traveler’s cheques are not easily cashed. You must bring US dollars in good condition. Torn, stamped or old bills will not be exchanged. $100 bills older than 2006 are also not accepted. Medical Ministry International began serving those in need in Ecuador over 35 years ago. In the 1980’s, the Vision Program developed under the local leadership of Sara Risser, Mesa Taveras and Francis Perez. The eye hospital was built with generous Medical Ministry International supporters and opened in 2001. Today, Hospital Cristiano de Especialidades, FUNDAMISC-MMI, is located in Milagros, Ecuador about 40 minutes from Guayaquil. Jone Hernandez, MMI’s Project Director, currently serves as Chair of the Board of Directors. In February 2017, Leanne Ferris and Barbara Skinner met with the Board of Directors and staff of Hospital Cristiano de Especialidades. 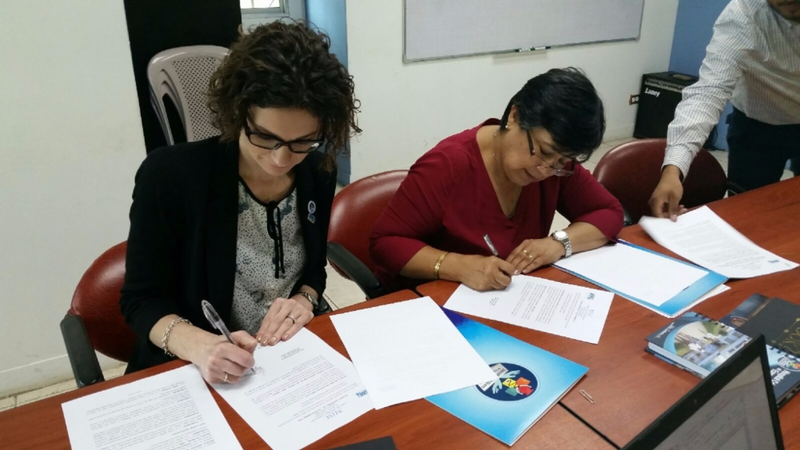 A new formal memo of understanding is in place to better facilitate the delivery of health care services in Ecuador. Ecuador, officially the Republic of Ecuador, is a representative democratic republic in northwestern South America. Ecuador is a middle-income country, with a developing economy that is highly dependent on commodities, namely petroleum and agricultural products. Ecuador is a major exporter of bananas, flowers, and cocoa. Ecuador also produces coffee, rice, potatoes, cassava (manioc, tapioca), plantains, sugarcane, and much more.The country's vast resources include large amounts of timber across the country, like eucalyptus and mangroves. It is one of the most diverse countries in the world, hosting many endemic plants and animals, such as those of the Galápagos Islands. Most Ecuadorians speak Spanish, though many speak Amerindian language, such as Kichwa, which is one of the Quechuan languages and is spoken by approximately 2.5 million people in Ecuador, Bolivia, Colombia, and Peru.